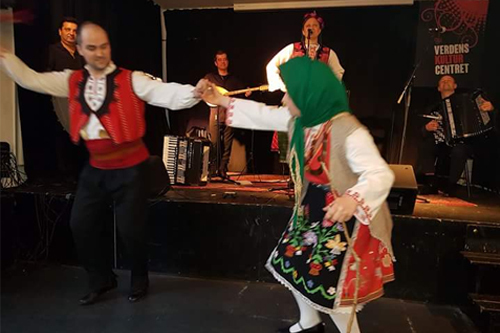 The Balkans - and not least Bulgaria - is known throughout the world for their amazing folk music. 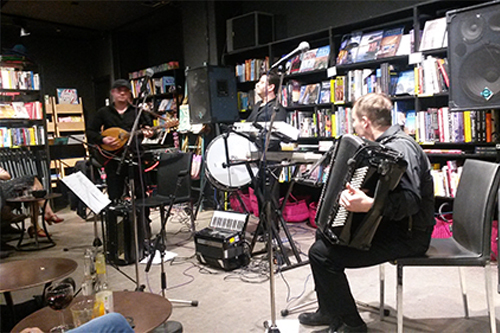 Music that is nuanced, equilibristic, complex, melodious, with an infectious energy and great emotional depth. 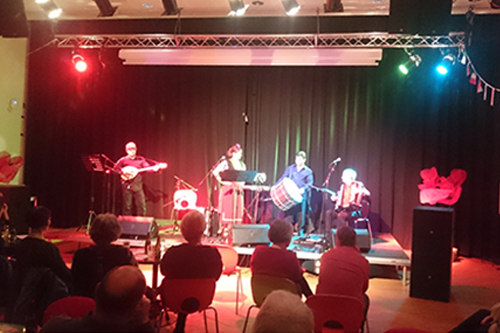 Orfeus Balkan Ensemble was formed in 2014 and consists of four musicians - two Bulgarian and two Danish - who have entered deeply into the secrets of this music and master it on a high professional level. 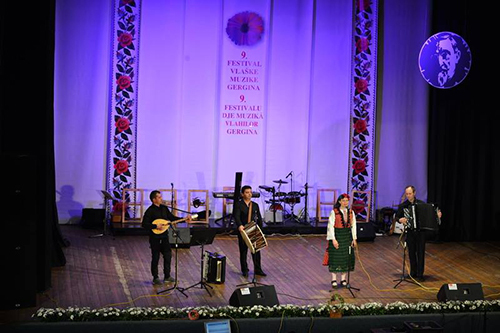 The repertoire comes from all parts of Bulgaria - rooted in the tradition, as well as in touch with the contemporary folk music. 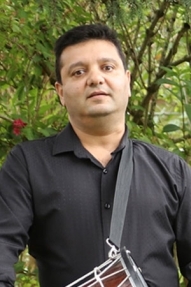 The repertoire includes new arrangements of old folk songs - and brand new pieces composed by the members of the band. 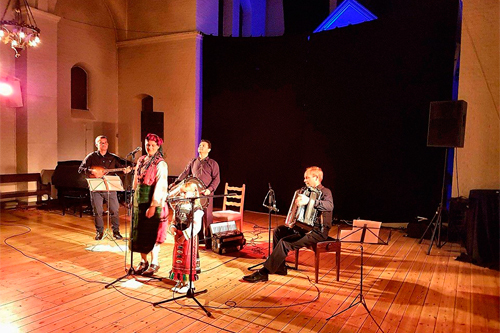 Orfeus Balkan Ensemble has performed at concerts and music festivals in Denmark, Sweden, Bulgaria and Serbia - and just released their first album "Zakachka"! 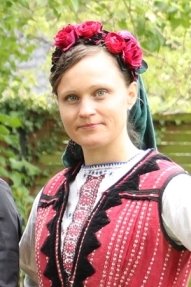 Has been singing Bulgarian folk music for many years - as a member of "Vokalselskabet Glas" and “Usmifka” in Copenhagen. She has been studying with a number of great capacities; a.o. the famous Bulgarian singer Tsvetanka Varimezova and with the Bisserov sisters. 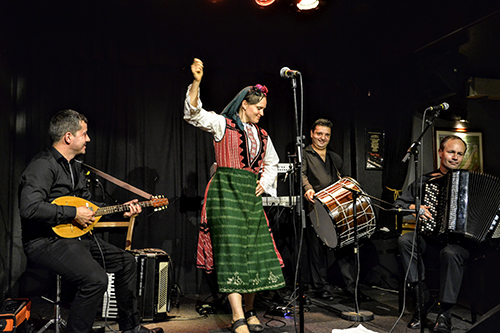 Anne performs with great expressiveness and authenticity in many different styles of Bulgaria's unique vocal tradition. 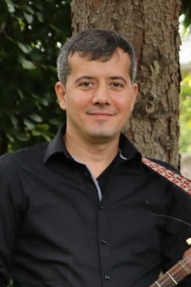 Enis is educated at the Academy of Music, Dance and Fine Arts, Plovdiv. 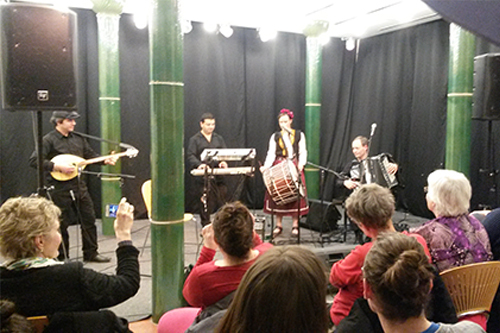 His preferred instrument being the tambura, a Bulgarian plucked string instrument related to the mandoline. 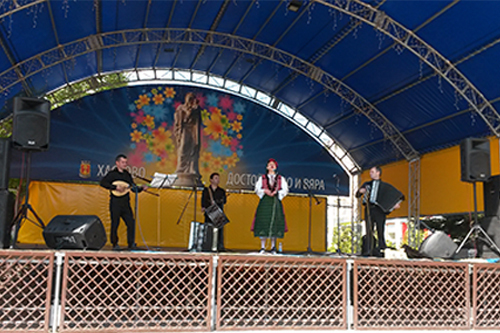 He was for several years playing in different folk music ensembles in his native town Haskovo “Zlatna Trakiya”, Trakiyski Ansambal”, Yuzhnyache”. 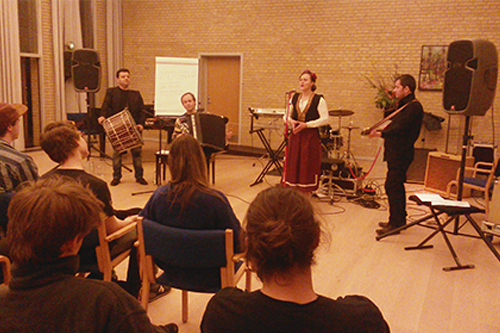 In Denmark he has been performing with “Mizgin” and others. Has since his childhood been playing folk music from the Balkans - from where he is now mastering a number of styles like a native. 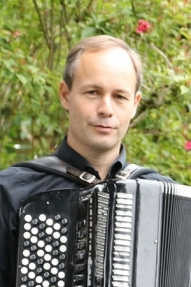 He is educated as a classical accordion soloist at the Royal Danish Academy of Music and has performed all over the globe with everything from baroque to avant-garde - as well as with different world music bands - and now with his own “Orfeus Balkan Ensemble”! 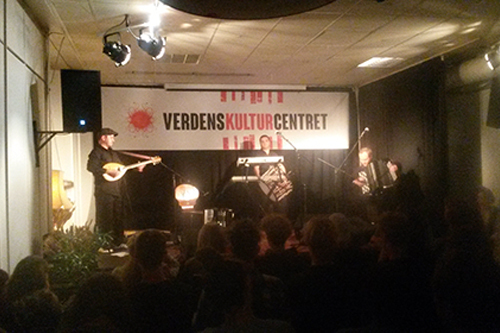 Album release concert, VerdensKulturCentret, Copenhagen 2017. 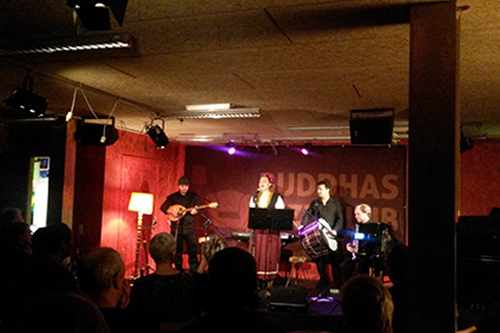 April 1, 19.00: Release concert - Orfeus Balkan Ensemble releases their first Album "ZAKACHKA", VerdensKulturCentret, Copenhagen. Free entry. April 14: Recording video spots in Plovdiv, Bulgaria for Tyankov Folk TV - soon to be broadcast! 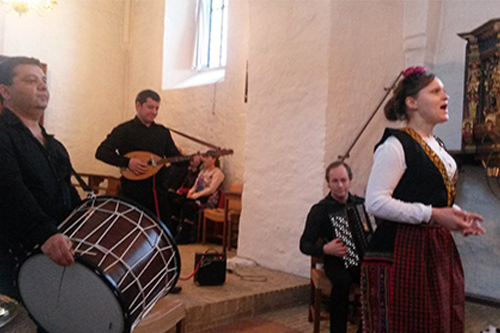 May 20: Playing at Bulgarian party: Mahiyata na Balgarskiya Folklor i Ljubimite Pesni na Balgariya, Glostrup, Denmark. 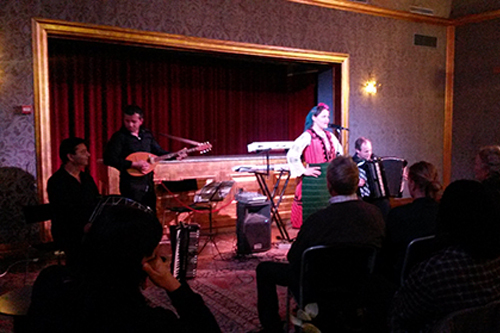 ORFEUS BALKAN ENSEMBLE's first album "Zakachka" ("joke") cam out in the spring 2017, and has been very well received, in Denmark as well as in Bulgaria! 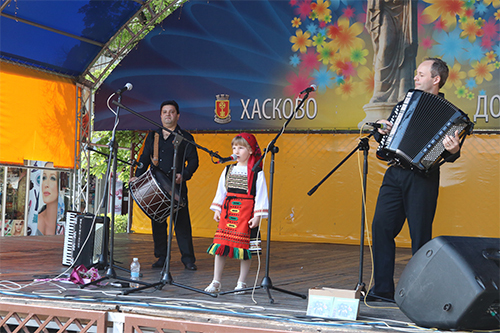 The album contains folk music from all over Bulgaria - as well as our own compositions. Click here to order the CD from Gateway Music - or find it on iTunes.